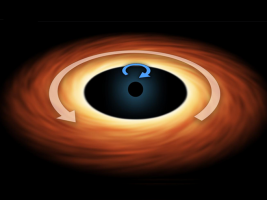 All galaxies have supermassive black holes at the center of it. These collapsed stars are a few times the mass of a sun which run out of fuel and explode. 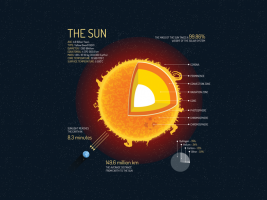 Our sun is 99% of the total mass of the solar system. 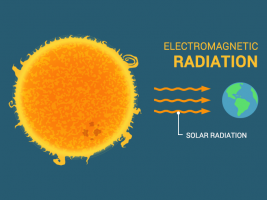 It’s this energy from the sun’s thermonuclear reactions that heats the Earth from solar radiation. 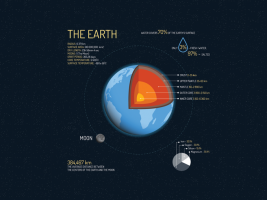 This list of Earth statistics provides all the numbers of our home planet. For example, here are size, rotation, density, temperature, orbit, age and more. The gravity of the moon is 1/6 of Earth. If you stepped on a scale on the moon, you could subtract 83.5%. 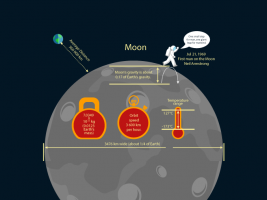 So 100 kg in weight would be 16.5 kg on the moon. Our sun is a main sequence star. This just means that it burns hydrogen into helium and goes through this “main sequence” for about 95% of its life span. 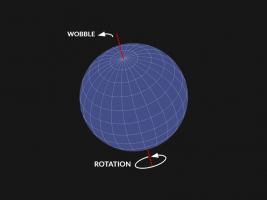 Earth spins on its axis of rotation. But it doesn’t spin perfectly. Like a toy top, it wobbles when it spins. This displacement is the Chandler Wobble. Earth is not a perfect sphere. 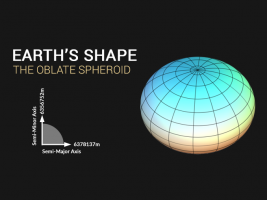 In fact, it’s in the shape of an oblate spheroid. Earth shape bulges at the equator and flattens at the north and south pole. 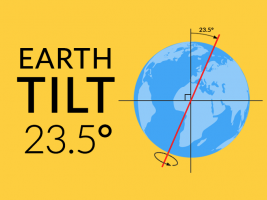 Imagine sticking a pencil into the Earth’s poles and twisting your wrist 23.5°. This is the Earth tilt essential in seasonal patterns, climate and life on Earth. 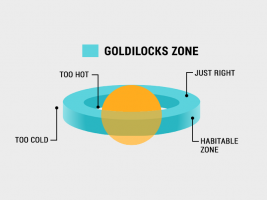 Lucky for us, Earth is in the Goldilocks zone. 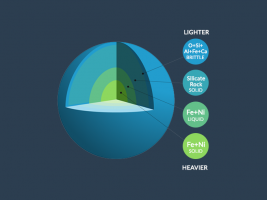 The range where liquid water persists is 0.99 to 1.7 AU. But it doesn’t necessarily mean life or water exists. Fusion reactions power the sun. 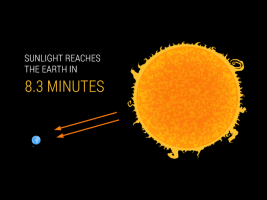 By fusing hydrogen to helium, the sun releases vast amounts of energy towards Earth. Then, sun fusion reaction heats Earth. We use the core accretion model to describe planet formation and the creation of our solar system which includes a central star and natural orbiting objects. What brings order on Earth is gravity. For all matter, it’s always at work. 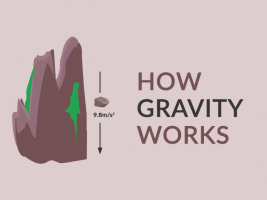 This is how gravity works for ocean tides, planet formation and escape velocity. The universe is immeasurable in size. 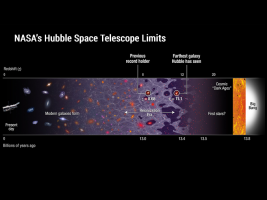 Universe expansion is the theory that galaxies and all matter in space are increasing in distance between each other. Astronomy is all-encompassing that studies matter outside of Earth. 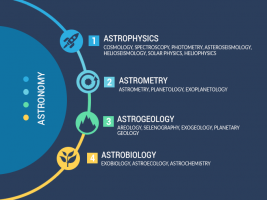 The branches of astronomy are astrophysics, astrometry, astrogeology and astrobiology. Planet Neptune is the farthest planet from the sun at 4.495 billion kilometers from the sun. 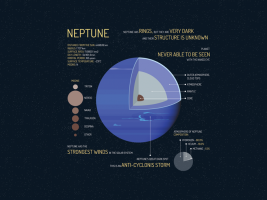 Neptune has some remarkable facts like its 14 moons and tilt.